BBQ Chicken Pizza - Nekaro & Co.
Last night was the easiest dinner I've cooked in some time. 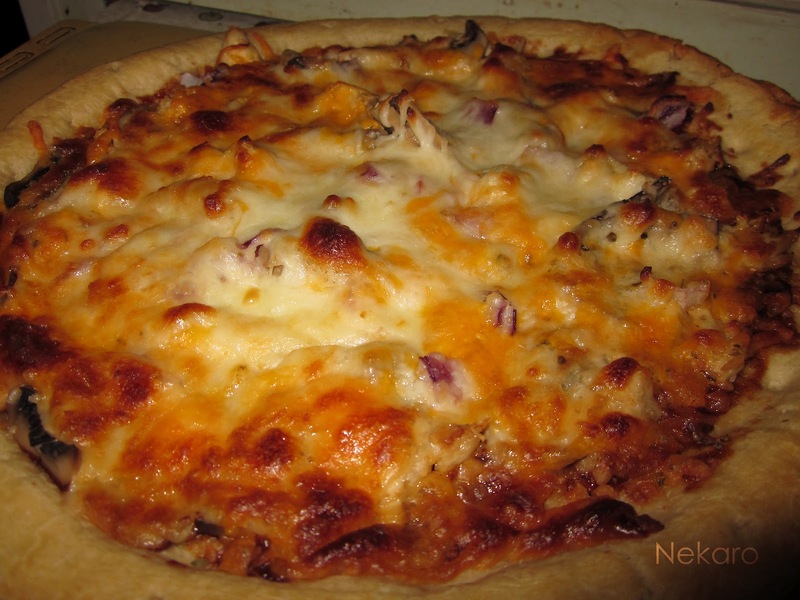 Just a few ingredients, only 30 minutes of cooking time. Yay! I even took some crappy pictures to share with you! 1. 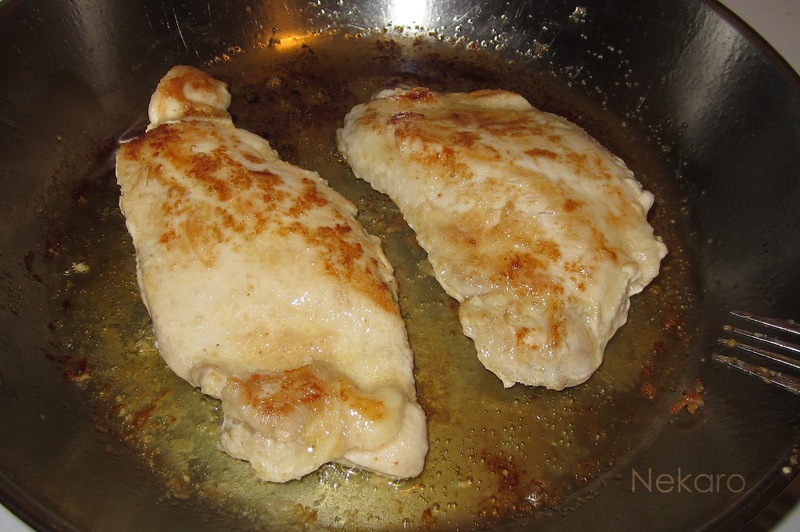 In a large skillet, add 2 tablespoons of olive oil then add chicken. Cook thoroughly. Once cooked, shred chicken with a fork or cut into bite size pieces. 2. 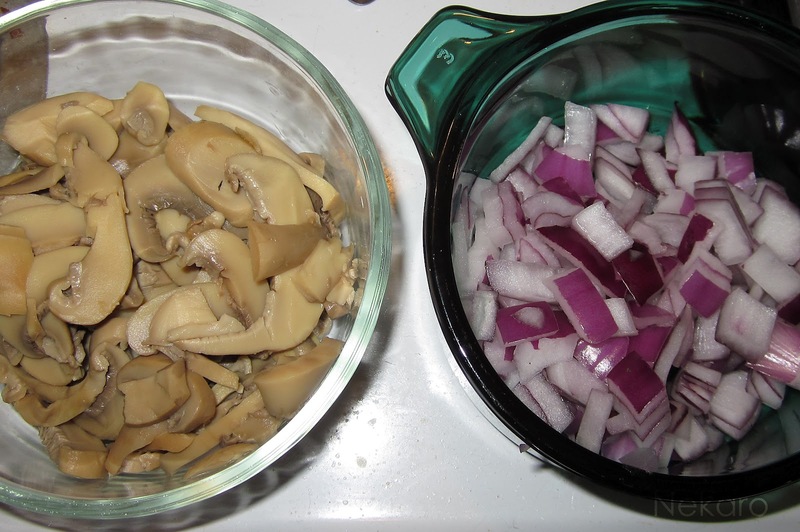 While the chicken is cooking, dice red onion, drain and rinse mushrooms, and chop cilantro. 3. 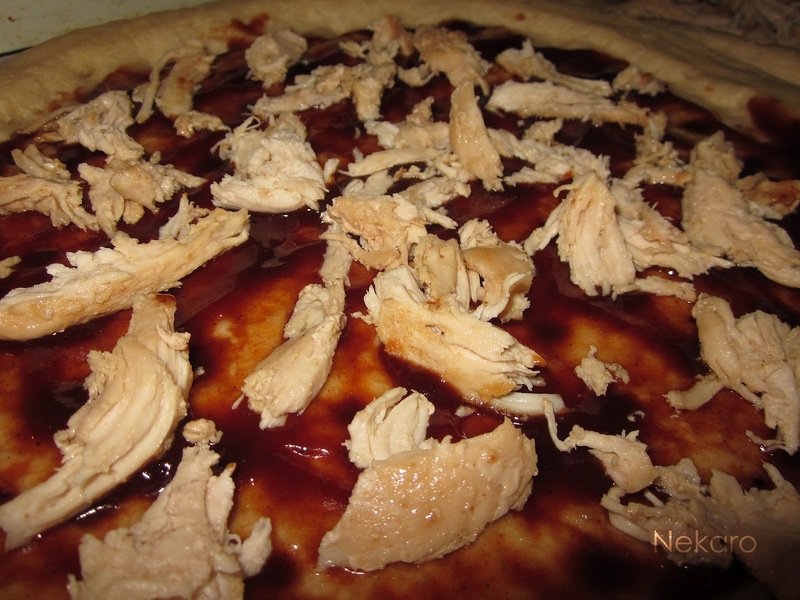 Pour some BBQ sauce on the crust, then throw on some chicken. Add your toppings of choice and top with cheese. 4. 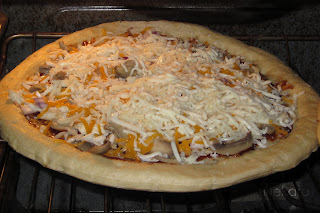 Place in a pre-heated 400F oven for 15 minutes.